I think there was an educational element in the conferences. Meetings couldn’t really talk about the publishing and how it was developing, or new technology, broadly, or censorship. These were big subjects. They were very relevant for that period. And, I think I must have felt at the time that one needed to spread the word to people, to women about their own business. And to bring people onto the platform who could teach them, fill them in – the bigger picture. The other thing, now I’m thinking about it, is that WiP was quite London-centric. 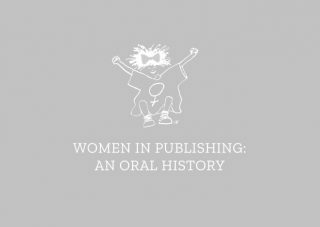 Because publishing was very London-centric and, I think we felt that a day, at a weekend, would enable women to come from further afield. Down to London, have a day out, meet other women, and that it might build membership and it might inspire and offer something to women.